Noel Fehily puts to bed a sterling career on Saturday at Newbury, that has seen him at the top of the sport for over 20 years. He closes the curtain with three rides on the weekend and the jockey admits it will be an emotional day for him and his family. 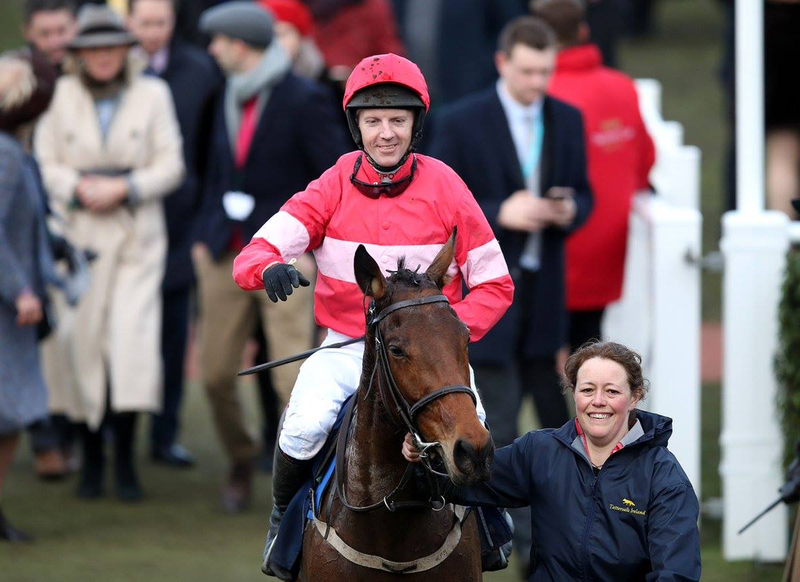 Fehily is one of the most well known national hunt jockeys on the circuit, having been in the sport for over two decades and saw most of his success later down the line in his career. Many other jockeys and key figures in the sport that have worked with the Irishman regard him as one of the best horsemen of his generation. The rider came over to Britain in 1998 to launch his career in the UK after riding in Ireland before that. He set up shop under trainer Charlie Mann who he rode his first Grade 1 winner for on Air Force One at Punchestown. Fehily first really caught the eye when stepping in for the injured Ruby Walsh on Master Minded and it gave him the scope to progress and ultimately secure the rides for owner Jared Sullivan who he gained his last ever Cheltenham Festival winner for at this year's meeting. His best memories in those red and white colours was when he rode Silviniaco Conti to successive King George wins at Kempton in 2013 and 2014. The jockey has had many winners at the Cheltenham Festival especially in Grade 1 company with his stand out rides coming in 2017 on board Buveur D'Air in the first of his Champion Hurdle victories and on the Wednesday of that festival with Special Tiara in the Champion Chase. In that year he finished a narrow second on board Minella Rocco for Jonjo O'Neill in the Gold Cup. In 2018 he landed the Supreme Novices Hurdle on Summerville Boy for Tom George and at the latest meeting at Prestbury Park he signed off in the Mares Grade 2 Novices Hurdle with 50/1 Shot Eglantine Du Seuil for Champion Trainer Willie Mullins. Now at 43 years old Fehily has said it is young mans sport and after having injury problems this season having had complications from appendix surgery in January that saw him in and out of hospital. Fehily will have his final day in the sun at Newbury on Saturday where it would be a superb send off for the experienced jockey if he could gain a winner. Asked about how things have been with his other professionals since announcing his intention to retire, Fehily said: “It has been absolutely overwhelming, from people I’ve never spoken to – in racing and not in racing. It has been amazing. Fehily has fond memories of Newbury with his biggest achievement coming in 2014 when he went on to win the Grade 1 Challow Hurdle on Parlour Games. He never won the Hennessy Gold Cup but did come close on two occasions. 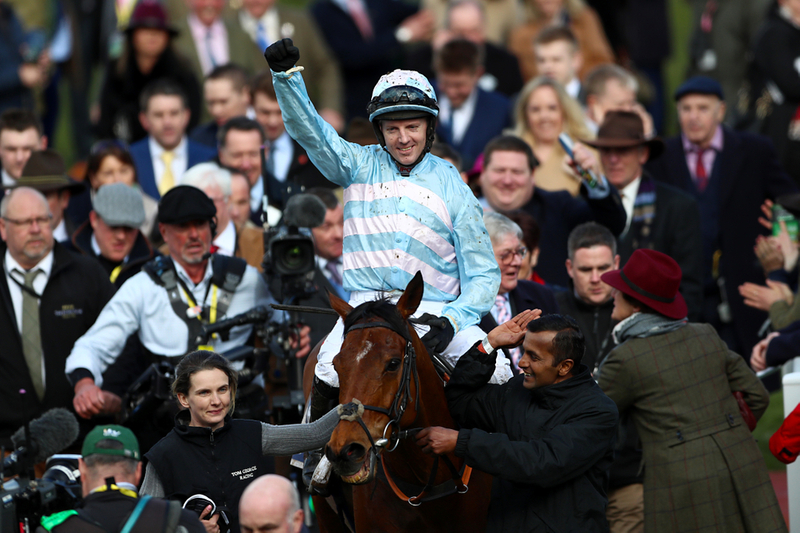 Fehily added: “The Hennessy was the race I would have loved to have won.